Achieve health and desired body shape wherever you are in the world! Providing you with all necessary tools to healthy living. Do you suffer from diagnosed condition, skin problems or digestive issues? Are you stressed, experience sleep problems or lack energy? Would you like to change the way you look? Are you pregnant and want to ensure the best start for your baby? Your Optimum Nutrition offers one to one Nutritional Therapy consultations in Winchester, UK and online for those who want to manage their condition or achieve optimum health and look for professional support and motivation. 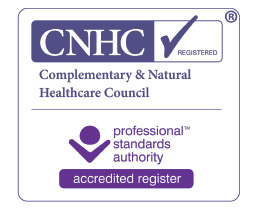 It is run by Emilia Skrzypek, who is a member of BANT and CNHC Registered Nutritional Therapist and a passionate cook. She uses personalised, holistic approach tailored to individual needs and assists her clients in making long-lasting nutritional changes. Find out about the benefits! Balanced eating is not about how much you eat, but about the quality of food and how you prepare it. Click on the button below to download a sample recipe. Please visit my blog for more! "Never before I had as much energy as I do now, I feel 10 years younger. I was looking for help for numerous years and only now was I able to discover that my thyroid wasn't functioning properly - and that is thanks to Emilia's support." "I am pleased to say that as the result of our discussions my diet has changed completely. I now only eat the healthy options and am enjoying them. I have found it interesting that when eating out in restaurants, it is always possible to find healthy options that taste good. I have not previously found it easy to change my diet enough. Emilia has made that possible." "Emilia is very flexible and makes sure the advice she gives me is tailored to what I need. Many advisers tend to have a 'one size fits all' approach, but hers is the opposite. She has been as much a counsellor as a nutritional consultant, helping me to overcome barriers to good nutrition, which has meant that I have been much more able to implement what she has recommended." "I went to Emilia with misdiagnosed IBS as I was in chronic pain and needed more help than I was getting from my GP. Emilia urged me to go back to my doctor as she did not believe it was a correct diagnosis. It turned out to be a bowel tumour, which was removed successfully, and she has since advised me on eating well throughout chemotherapy and now happily beyond. I felt pretty well throughout the whole process, which I believe has a lot to do with my nutrition." "I contacted Emilia as I was very frustrated with the medical profession. I have been a diabetic for 9 years and have struggled to lose weight. Emilia was so understanding and encouraging. She listened to my health issues and worked with me to help resolve them." "I have followed the recommendations that Emilia has made and feel so much better. I now understand which foods upset me and how my body reacts to them. The lifestyle/food changes that I have made have really made a difference and will stay with me for the rest of my life." "I would 100% recommend Emilia to family and friends as she is very knowledgeable, approachable and most importantly listens to you"
"I had sessions with Emilia over 7 months for my diverticulitis and IBS type symptoms. She was always friendly, well informed and as a result of diet and other changes I am virtually symptom free. She provides background information and recipes to keep you motivated, and a huge bonus is that she will provide guidance and answer queries online in between appointments. I would have no hesitation in recommending her." Apart from 1-2-1 consultations, Your Optimum Nutrition also offers an Online Course, ‘Healthy Eating Foundations’. Combining nutritional knowledge and practical experience, this Course will give you necessary tools to make gradual changes to your diet to create healthy habits for life! Local to Winchester? Check out calendar of workshops and events! Your Optimum Nutrition is based in Winchester, Hants where Emilia’s aim is to provide fun and informative talks and workshops to the local community. She also organises healthy cooking classes, so be sure to check her Facebook page for upcoming events. By submitting a contact request, I agree for Your Optimum Nutrition to contact me using the information provided. ... so that you can discover the new you!